Personal blog for writer/editor/publisher Renee Witterstaetter--comic book and film professional as well as agent to writers and artists via Eva Ink Artist Group. In this blog, Renee will post missives and observances for entertainment, as well as keep followers updated on the creative endeavors of both herself and her associates at Eva Ink. Erma Nell Witterstaetter (born Hicks), age 85, passed from this world unexpectedly on February 13, 2018 in a local hospital. Beloved Mother, Sister, Grandma and Friend, she was preceded in death by her husband of 40 years, Calvin Raymond Witterstaetter, Sr. They lived their married life in Wake Village, Texas, and raised their family there, and Erma continued to make it her home after Raymond’s death in 1993. 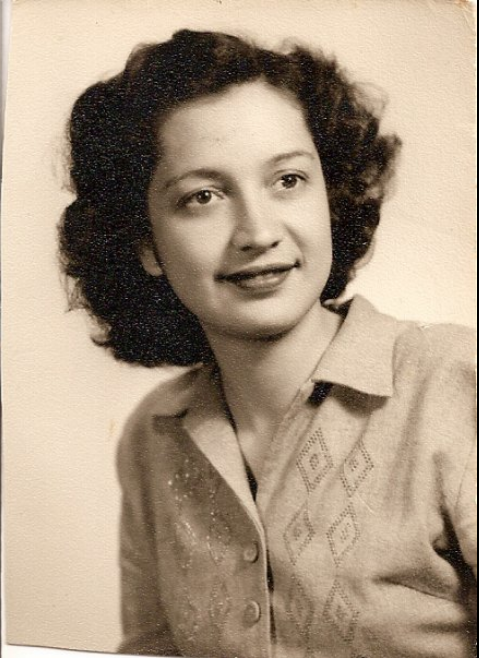 Erma was born January 5, 1933 to Eva Inez Vann Hicks and George Lester Hicks, in Texarkana, Tx. during the great depression. Her beginnings were humble, as her parents tried to build a life for her and her two sisters. Times were hard. Erma often talked about the two room house that her father built for them, the dresses her mother made for her from flour sacks, how her father’s foreman job with WPA was a godsend and source of pride, and how amazing it was to her as a young person, when they were able to move into a house with indoor plumbing. This hard life was buffered by a close family and a strong willed mother who instilled in her a work ethic that would stay with her for literally her entire life. She would often comment on the changes that she saw in the span of her life. She had seen wars come and go— albeit during some she was a child listening to the radio and fireside chats; She saw TV become commonplace and marveled when they started being in color, and now… the digital age; She listened to the first words of the first man on the moon in real time; Saw the Berlin Wall go up... and saw it go down; She saw Elvis first hand at the downtown Texarkana auditorium, She heard, a young preacher talk about 'his dream" and became part of it first hand with her job as a personnel manager at Sears; She saw it unfold in a fragile nation when our young President lost his dream so suddenly in Dallas; She heard about the "British Invasion” as it happened; And saw loved ones go off to Vietnam;— She saw the advent of the message machine, fax machine, cell phones, internet, emails, Facebook, twitter, texting…so much… all coming in fast succession. And through it all, she was there. The reed in the wind. Erma was no doubt a Pioneer. She and Raymond met at East Texas Motor Freight, and after taking time off to have her first child, her friend Barbara Hall led her to a job opening at Sears Roebuck. Erma worked at Sears in Texarkana for 54 years, where many people in town knew her. In fact she rose to a management position becoming the very first female Personnel Manager, AND at one time being the #2 in command only to store manager David Zimmerman, and THAT at a time when most women did not make it to those levels. Through that position that she enjoyed so greatly, she was able to give many people their first jobs. Believing in them. Giving them a chance. She loved that. Even after her retirement and her husbands death, she went back to work at Sears in sales, in various departments, ultimately staying in appliances for many years. As she would always say she went back to work “To keep her mind sharp.” In her usual “I’m not going anywhere manner,” she survived many changes in store managers and protocols, in the newly evolving corporate environment that sought to pasture older employees. But she’d have none of that, and she endured until she was 84 and a back problem would not allow her to continue. We like to joke that Sears in Central Mall, just could NOT survive without her. And it didn’t. Through it all, Erma stayed a wonderful woman of faith. She was a member of Wake Village First Baptist Church for 65 years, and at the time of her death was the person who had been there the longest at her church home. She was actively involved with her Sunday School class and Evergreens. And true to her Christian spirit, she was there whenever someone needed help, a meal delivered, a prayer said. She loved traveling and made it to such diverse places as Egypt, Norway, Ireland, Iceland, Greenland, Italy, Cuba and more. Some of her favorite trips were with Raymond to Copper Canyon in Mexico. And since his death, she continue to travel extensively with her daughter. She loved playing Dominos, and playing with her Tuesday night card group, and really enjoyed almost any game for that matter. But what she most loved was spending time with her family. Her happiest times were when all of her every growing family was at her house for dinner. The smile on her face… said it all. In fact, if you asked my Mom what her greatest achievement was, this is what she'd say: My Family. Erma is survived by her three children that she loved and wanted so much— Ray, Robert and Renee; One Daughter-in-law Melissa Witterstaetter; Eight grandchildren: Amanda (and husband Danny), Randy (and wife Elodia), Robbie (and wife Stacey), Scott, Rachel, Brennan, Matthew, Ally ; Fifteen great grandchildren: Randall, Ryan, Riley, Benjamin, Natalie, Nathan, Brittany, Noah, Kloe, Laken, Payton, Clare, Macelyn, Conner, Kyle. Two sisters: Lana Murphy and Sandra Steger. Two brothers-in-law Arthur Murphy and Kenneth Steger, her aunt, Maude Salyer, one step-daughter, Carol Martin Hale, and many loved nieces, nephews, and cousins. And like all true love, she asked nothing in return but maybe... a phone call or a visit. And sometimes if that didn’t happen, she forgave even that. "They'd do it if they could." How do we describe this wonderful, spirited and determined woman? The constant for us. In a world still changing, always... changing. She was always the same. The touchstone in a storm. How do we describe Erma, our Mom-- a pioneer in her work aspiring to raise herself up from her depression era beginnings pursing business school after High School, and fashioning herself into the christian and self-less person that she was? There are two words that describe her most accurately: Unconditional Love. And she would not have had it any other way. We love you too, Mom. On February 13, we lost our rock, our best friend and our biggest fan. And we missed you the very second you were gone. 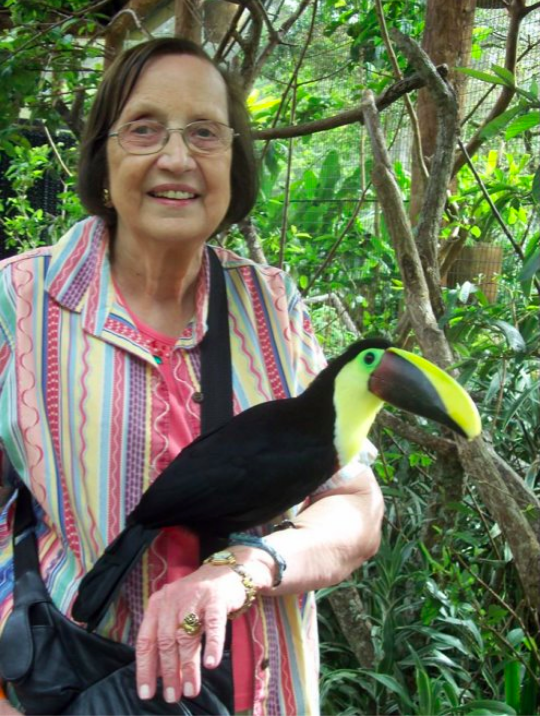 Visitation for Erma will be from 5:00-6:30, February 16, at Chapelwood Funeral Home. Her funeral is planned for 2:00 in the afternoon on February 17th at Chapelwood. She will be buried next to Raymond. Hi, Renee here. I am a writer, editor, publisher and art agent, living in New York City. I also have a background in commercial, music video and movie production, and curate art shows and arrange lectures around the world.